Are you looking to hire a room for you meetings or activities? You can hire the Ellis Centre for your own use. The centre has a variety of rooms available and has the benefit of a car parking area, kitchen and disabled access/toilet facilities. 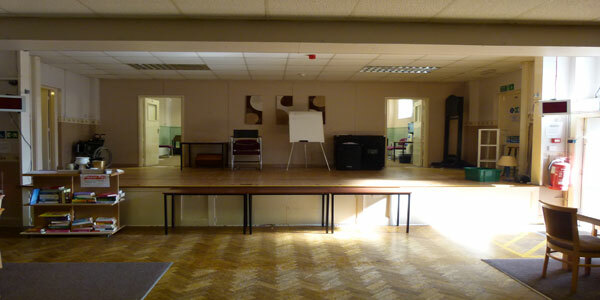 The Ellis Centre in Stoke-on-Trent is the focus for both the administration of the charity and all the social activities. We offer a wide range of activities and services, including information , training on various subjects, special groups for everyone, membership packages, volunteer visiting service and a communication support service to name but a few!!! We are committed to actively supporting the equal opportunities of all deaf people in employment, training, services, information and education. Our project work creates opportunities for volunteers, Deaf and hard of hearing people. This might be of particular interest to those who are unemployed wishing to develop their skills, as many training programmes are available. All our projects aim to include people with a hearing loss and the charity actively seeks your views and opinions when developing new projects. dDeaflinks have introduced a £2.00 admission fee per person for our social groups Wed, Thurs, SSC, children and carer’s are free. £20.00 per hour for all rooms, which are meeting room, Staceys lounge, Helen Simpson Room and the Hall. This includes use of the kitchen and Helen Simpson Room. If you have been a member of dDeaflinks or of dDeaflinks sub-groups for at least one year, you may hire at the reduced rate of £10.00 per hour which includes use of the kitchen and Helen Simpson Room. If you need to use the centre in the day to prepare food or set up, there will be an additional charge of £5.00 per hour plus one off fee of £10.00 to cover unlocking and locking the centre. All room hire bookings are subject to a £50.00 deposit which will be returned if the room is left clean and tidy after your event. Medium to long term private hires, by negotiation Light refreshments can be provided at an additional cost. Refreshments (Tea/Coffee/Squash and Biscuits) provided at TBC/ per head. Other refreshments available upon request at a small charge. Room charges are negotiable for regular bookings. Click here to download the Centre Booking Form, Rules of Hire, Room Hire Charges and Food Hygiene Disclaimer Form.